Stem cells have ability to regenerate and repair. Ever wondered about Stem cells? Let's investigate how stem cell research is impacting upon organ transplant surgery and multitude aspects of stem cell technology. Stem cells – Prolong life, improve life, and give hope for life to millions of people. Most of us heard about stem cells in the news, and perhaps you&apos;ve wondered if they might help you or a loved one with a serious disease. You may wonder what stem cells are, how they&apos;re being used to treat disease and injury, and why they're the subject of such vigorous debate. Many diseases kill people and impairs a person&apos;s ability to live a normal life. For example, about 7.3 million people have heart failure and 6.2 million people are diagnosed with coronary heart disease each year all over the world. [source: World Health Organization]. In heart failure, much of the heart muscle itself dies, so the heart cannot sufficiently pump blood. Similarly, millions of people have diabetes due to destroyed insulin – producing cells of the pancreas. Finally, about 1 million Americans live with Parkinson&apos;s disease where the patients suffer with lack of dopamine production. So, if this is the case – what if these dead cells could be replaced with fresh and functional cells? Could the patients be treated and live normal lives? That&apos;s the goal of stem cell research! Stem cells have incredible potential to treat disease. One of the most significant developments in cell and developmental biology in recent years has been the incredible interest in the potential of stem cells in regenerative medicine. Cure many diseases that ail the man kind. Stem cells have incredible potential to treat disease. Stem cell research is perhaps the most exciting medical technology of the 21st century. Stem cells hods the promise of treatments and cures for more than 70 major diseases and conditions that affect millions of people, including diabetes, Parkinson&apos;s , Alzheimer&apos;s, Cancer, Multiple sclerosis, Spinal cord injuries, blindness etc. Stem cells continue to be an important topic in science and they comprise one of the most exciting areas of research today. Before we understand stem cells, it needs to be mentioned that stem cell transplantation is going to potentially cure many diseases that ail the man kind. You will learn how they are so very important for us, and their potential therapies in detail in the subsequent sections. 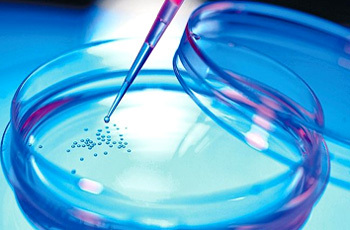 Stem cell banking is a process of preserving your stem cells for future use. Storing new born umbilical cord blood stem cells is an investment towards the future health of the family. It ensures an exact match for the child and a more likely match for another blood-related family member, should the stem cells be needed for treatment. Stem cells are the primary cells in human body and animals that have the ability to divide and differentiate into other types of cells. Research by Canadian scientists Ernest A.McCulloch and James E.Till in the 1960&apos;s started interest in Stem cells worldwide due to some discoveries that they made. To put it simply, Stem cells are the body&apos;s raw materials – cells from which all other cells with specialized functions are generated. Under the right conditions in the body or a laboratory, stem cells divide to form more cells called daughter cells. These daughter cells either become new stem cells (self – renewal) or become specialized cells (differentiation) with a more specific function, such as blood cells, brain cells, heart muscle or bone. No other cell in the body has the natural ability to generate new cell types. For example, you have baldness, so stem cells can be used to replace the dead cells and create the necessary growth of hair again. Unlike a regular cell, which can only replicate to create more of its own kind of cell, a stem cell is pluripotent (Capable of giving rise to several different cell types). Embryonic stem cells are pluripotent in nature. 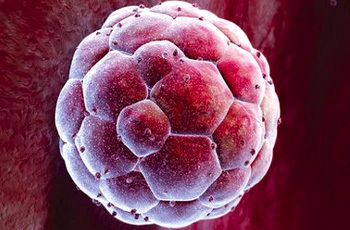 Embryonic stem cells are pluripotent, meaning they are able to grow (i.e. differentiate) into all derivatives of the three primary germ layers: ectoderm, endoderm and mesoderm. The ability to separate into specific cells. The ability to stimulate an infinite number of times. The ability to move and separate where needed. Thus stem cells are basic primary kind of cells. They eagerly wait for the signal to know what they will ultimately divide into, be it skin cells, or blood cells or even more complex cells. Stem cells are all not the same. Not all exhibit the same characteristics. The difference lies in their ability to form full fledged tissues, or differentiate into multiple cells. This peculiar ability or rather potency is the first way to know the difference between different types of cells. Adult pluripotent stem cells have the capability to repair. The primary roles of adult stem cells in a living organism are to maintain and repair the tissue in which they are found. The first type of stem cells is the totipotent stem cells. These basic cells are produced when the egg and sperm cells of mother and father unite in the womb of the mother. 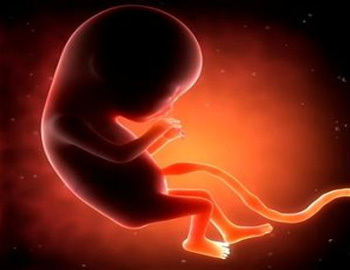 The basic sign of life is the embryo. 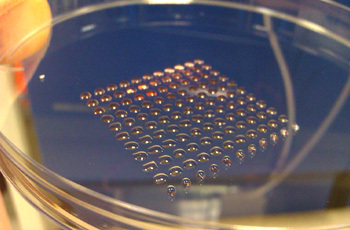 These Cells grow into the embryo the first sign of a human being in the mother&apos;s body. These cells are useful in creating the full fledged human being. They are nothing but the next level of totipotent stem cells. 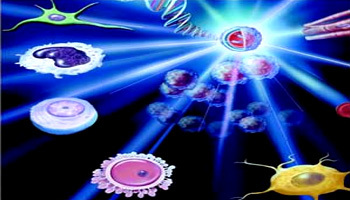 Pluripotent stem cells help in the growth of lungs, muscle, blood, bone and nervous system. Totipotent stem cells are perhaps the most versatile of the stem cell types. A totipotent zygote cell is created when a single celled sperm and egg unite. 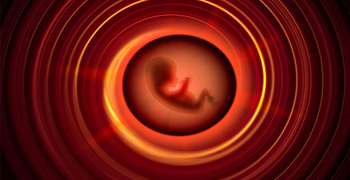 This totipotent fertilized egg has the potential to give rise to virtually all human cells, such as nerve or heart. It is during the early cell divisions in embryonic development that more totipotent cells are produced. Within several days, these totipotent cells divide and create replicas, therefore producing more totipotent cells. It is after approximately four days that the cells begin to specialize into pluripotent cells, which can go on to specialize further but can&apos;t ever produce an entire organism as totipotent cells can. Basically, the pluripotent stem cell can do everything the totipotent one can except for creating an entire organism. Cord blood stem cells Cord blood is collected because it contains stem cells, which could be used to treat hematopoietic and genetic disorders. These stem cells however cannot develop into placenta (the organ present only in females that helps the baby to nourish, and also stops many harmful substances reaching the small baby). The cells that ultimately divide into red blood cells, white blood cells and platelets are the multipotent stem cells. Some cells can differentiate into only one type of cell. Skin cells are the example of unipotent stem cells. Based upon where the stem cells originate, the stem cells can be classified into, Adult stem cells , embryonic stem cells and Cord Blood stem cells. Adult stems cells are found in adult human beings, and divide themselves to revitalize the dying cells and also repair the damaged tissues of human body. 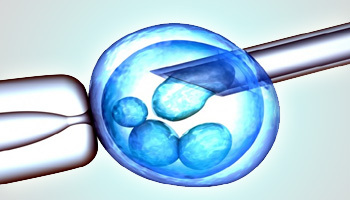 Embryonic stem cells are obtained from the undifferentiated inner mass cells of an early stage human embryo (sometimes called a blastocyst, which is an embryo that is between 50 to 150 cells). Cord blood stem cells are derived from the blood of the placenta and umbilical cord after birth. Stem cells have the power to revitalize. Stem cells have enormous potential in health and medical research but to fully harness this potential, scientists are studying how stem cells transform, or differentiate, into the diverse range of specialized cells that make humans what they are today. Stem cells can be used to cure so many diseases. As you learnt previously, they have the ability to divide themselves into other cells, thus whichever stem cells are damaged can be replaced by fresh stem cells and thus help the organ to revitalize. Many researchers, doctors and scientists world over are coming up with unique applications and treatments for various deadly diseases, using the stem cell transplantation. Damaged pancreatic cells can be replaced by stem cells transplantation. Stem cells hold tremendous potential as a source of insulin-producing cells. That’s because stem cells have the potential to become virtually any kind of cell. Scientists at the Toronto University have discovered stem cells in the pancreas of adult mice that were able to become insulin. This is a good news for the diabetes patients. If this type of stem cells are found in human body, then those people who take insulin in the form of injections need not, as those damaged cells can be replaced by stem cells transplantation. How could stem cells help to treat Parkinson's disease? According to numerous researches, fetal stem cell therapy gives a marked positive effect in Parkinson's disease treatment. Researchers are already using stem cells to grow dopamine-producing nerve cells in the lab so that they can study the disease. Because a single, well-defined type of cell is affected, it may also be possible to treat Parkinson’s by replacing the lost nerve cells with healthy new ones. The human brain releases a neurotransmitter known as dopamine. 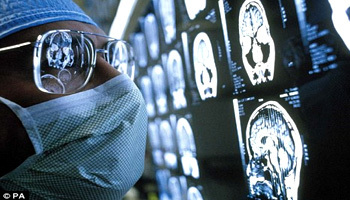 Scientists have been successful in stem cell transplantation of cells that produce dopamine in some 250 patients. This has been a successful experiment that gives good motivation for future treatments. Scientists at the famous Harvard University injected adult stem cells into the brains of dogs for treating cancerous tumors that they had developed. Normally, curing brain cancer is very tough, but using this experiment, they used stem cells to convert a substance already injected into their brains as a cancer killing agent. Within few days, the tumor was reduced by a great extent! You might have heard about people who suffered severe spinal cord injuries when they had accidents such as car accidents or falling from horses. Normally, it is quite expensive and difficult to treat such injuries. Christopher Reeves, who played Superman fell very badly during a horse racing competition, and severely damaged his spinal chord. He volunteered for stem cell research and advocated it lifelong till he died (2004). The breakthrough for spinal chord treatment through stem cells was achieved by a Korean team in the year 2004. They had transplanted mutlipotent adult stem cells from umbilical cord blood to a patient suffering from a spinal cord injury. The lady can now walk without difficulty. You would be surprised to know that the patient had not walked for 19 long years. Big ‘leap’ towards curing blindness in stem cell study Researchers are now using stem cell technology to explore possible new approaches to treatments for loss of vision. 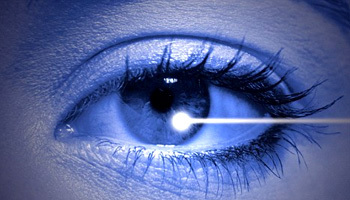 There are many people who suffer from blindness and partial blindness, now there is some good news for them. Scientists have successfully used the retinal stem cell transplantation into the damaged eyes of patients suffering from blindness. They have used embryonic stem cells to grow a thin sheet of totipotent stem cells. When these were transplanted over damaged retina, the repair work started which finally restored vision for the patients. 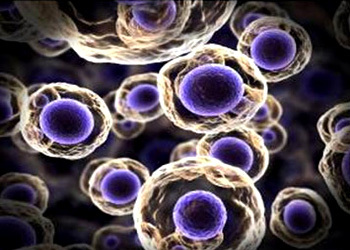 Thus, Stem cell technology has the potential to completely revolutionize the field of medicine. The discovery of the immortal stem cells, more than 20 years ago, created a biological and medical sensation. Since then, biologists better understand how various kinds of body tissues develop, grow and repair themselves, while medical researchers see prospects for promising new therapeutic approaches.